This chat is brought to you by Yankees.com. Let’s see…what shall I do while I’m waiting out this rain delay…on June 18…ridiculous. I could build an ark…I might need one to get home tonight WHENEVER this game is played/ends… I could add pontoons to my SUV…I could go for a quick swim and do some laps (on the street, which is flooded) …. But you know what? I think I’m going to sign up for an online meteorology course so I can be certified by either the National Weather Assocation and get the seal from the American Meteorological Society…soon to be appearing with his own show on The Weather Channel…ME! I’m quite sure I’ve never done this many radar and weather updates on game days…sheesh. Candy Karma: The timing of YES promos kingpin John Brueckner could not be any better! I walked into his office today to offer him one of the sugary twists of goodness that are donuts from Coffee An’ Donut…and he returned the favor. JB reached into one of the cabinets in his office and procured two of the following tubes of candy…. 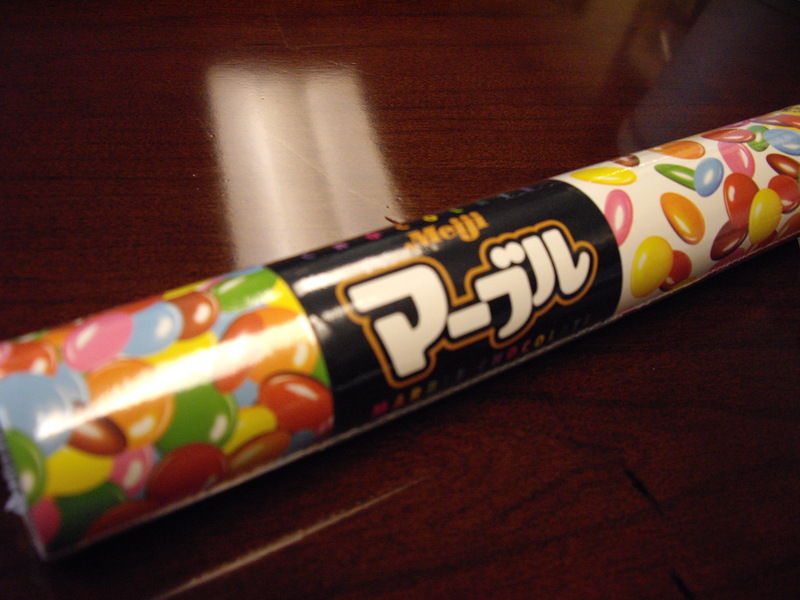 John, from what I understand, is a fairly avid Blob reader, and when he recently walked into a store and saw this M&M-type candy from Japan, he said he knew he had to buy it for me to add to the collection of candy on my office coffee table. It’s called Meiji Marble Chocolate… and it will be in the rotation JUST IN TIME for John Flaherty’s return to the studio next Friday and Saturday for the Yankees-Mets Subway Series, Round 2! Oh, Johnny My Boy is gonna be delighted to hear about that, let me tell ya! Last time around, he was not able to keep his hand out of the bowl of M&M’s…now we add some new ones?! Lookout people. Can’t wait to see what happens. Blame it on Brueckner, I say. Meanwhile, I just saw a Corolla float by my office window…. Pics From Off The Grid Now, while The Blob is for “musings from the set”, it frequently veers into my office, the control room, the hallways, highways and byways of the YES Network studios…so, I know Blobbers won’t mind me going off the grid to show you a couple pics from Monday night’s Alzheimer’s benefit hosted by Michael Kay and Joe Girardi at the Grand Central Oyster Bar. 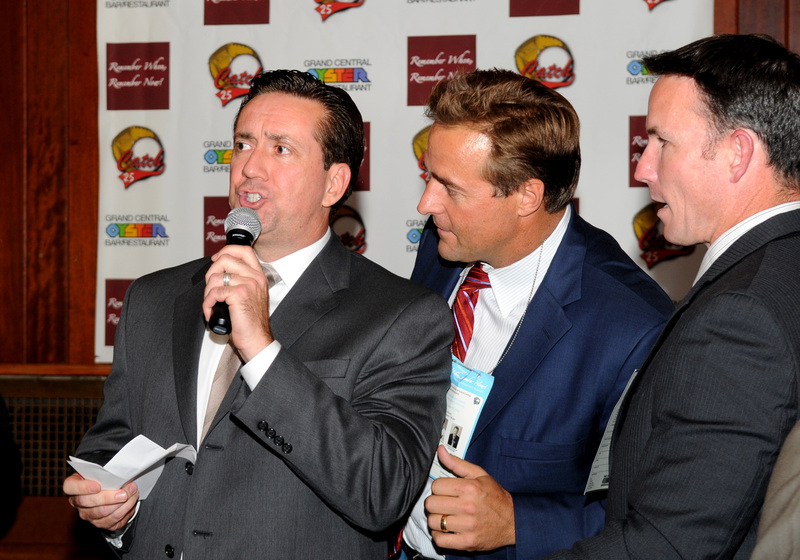 Michael and Joe deserve a lot of credit for their heavy involvement in raising funds to fight Alzheimer’s and helping families provide caregivers for their loved ones who are afflicted. 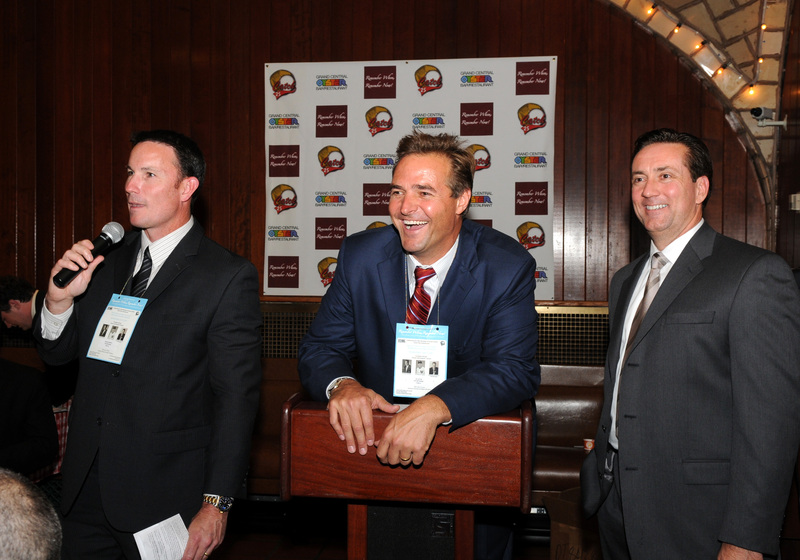 PR guru John Cirillo was kind enough to e-mail the following when Flash, Leiter and me commandeered the podium as auctioneers…please note: the pic on the left is about the only time you’ll ever see me hold Al & John’s attention at the same time. And the one on the right proves that, when Flash speaks, everyone listens.